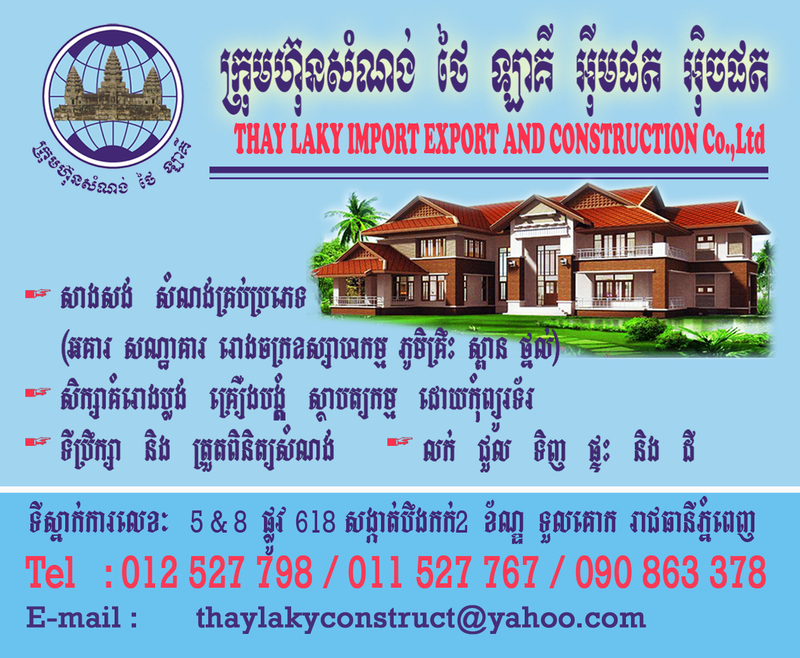 Executive Summary: Kampuchea-Krom is the Khmer name for the Mekong Delta and surrounding region of the current state of Viet Nam. Kampuchea-Krom measures up to 67,700 square kilometers and is the traditional homeland of Khmer-Krom. The Indigenous Peoples of Kampuchea-Krom are the Khmer-Krom, the ancient descendents of the people of Nokor Phnom (or Funan in the corrupted Chinese translation) empire. Throughout history, the identity and name of the Khmer-Krom people and their ancestral lands have been changed and/or referred differently by various colonizing forces. Under the colonization of France, Kampuchea-Krom was called Cochin China. The terms Khmer, Khmer-Krom and Vietnamese of Khmer origin are used interchangeably when referring to the people of Funan. Over the centuries, Khmer-Krom continue to exercise the right of self-determination entitled to all people of the word under international law. The Khmer remain committed to the principles respected in international law of peace, democracy and justice. We actively support the process for active participation in the realization of human rights, especially the rights of the Child. Vietnam was the first country in Asia and the second in the world to ratify the Convention on the Rights of the Child. We applaud Vietnam for trying to improving the living condition of the people in Vietnam, especially the child, but there are many works that need to be done to help improving and protecting the rights of the child, especially the child of the Indigenous Peoples, such as, the Khmer-Krom child, who are underrepresented in Vietnam. Vietnam is a country governed by a Vietnamese Communist Party run by the National Assembly which is elected every 5 years. With this governing system, it is almost impossible for Vietnam to implement a legal system to protect everyone equally before law and avoiding the discrimination. 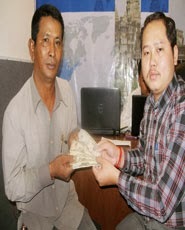 The legal system of Vietnam just protects the Vietnamese and whoever has money or relatives working for government. When the Indigenous Khmer-Krom Peoples face the injustice trials, they have no lawyer or rights to defend for themselves in front of the Vietnamese legal system. The fundamental rights of the Khmer-Krom don’t even exist. Of course, the rights of the Khmer-Krom child are not protected in Vietnam. Moreover, there are thousands of the Khmer-Krom children who are studying in Middle or high school in Vietnam, but most of them don’t even know the existence of this convention. We suggest Vietnam to translate this convention to other Indigenous Languages, especially to our Khmer language, and educate our Khmer-Krom child about their rights, instead of just the Vietnamese child. Most of the Khmer-Krom child is living in Mekong Delta. Because of the Climate Change, the Mekong Delta is vulnerable to flooding and affects the livelihoods of the Khmer-Krom child to survive and development. Unfortunately, most of the Khmer-Krom child, even who are in high-school, know very little about the affecting of global warming affecting their homeland. We urge Vietnam to fairly distributing the affecting of Climate Change to the Khmer-Krom child and educate them some basic skills to survive if they are facing the flooding situation. The Khmer-Krom are the Indigenous Peoples of Mekong Delta. Unfortunately, the Vietnamese government denies recognizing the Khmer-Krom as the Indigenous Peoples on their ancestral land. The Khmer-Krom is classified as the ethnic minority and treated as a second-class citizen. The term “Khmer-Krom” is not allowed to call for the Khmer-Krom. The Khmer-Krom history is not allowed to teach in public school. Thus, most of the Khmer-Krom child does not know about their true history and identity. Some of them do not even know why they are Khmer-Krom, but the Vietnamese government does not allow them to call themselves as Khmer-Krom. The right to preserve the Khmer-Krom identity for the Khmer-Krom child in Mekong Delta is denied. We urge Vietnam to start accepting the truth and recognize the Khmer-Krom as the Indigenous Peoples of Mekong Delta and allow Khmer-Krom child to learn their true history in public school so they can learn and preserve their identity as the Khmer-Krom. In Kampuchea-Krom, there is no magazine or booklets in their Khmer language independently without the interference of the Vietnamese government for the Khmer-Krom child to express their opinion. The Khmer-Krom child who are in high school have very limited accessing to public forum to express their opinion, especially on the Internet. The Khmer-Krom child is living in fear because they can get into trouble easily if they say something that could be framed as “undermining the government”. We urge Vietnam to allow Khmer-Krom to independently publish the magazine and booklets in Khmer language for the Khmer-Krom child to express their opinion and voice their concerns. Most of the Khmer-Krom people are Buddhist. The Khmer-Krom people practice Theravada Buddhism whereas the Vietnamese Buddhist followers practice Mahayana Buddhism. Culturally, the Khmer-Krom child has to ordain as a Buddhist monk to learn about the principals of the Buddhism and the morality to be good person. Unfortunately, the Vietnamese government even requires the Khmer-Krom child to apply for permission in order to ordain as Buddhist monk. If the Vietnamese government does not allow, that Khmer-Krom child cannot ordain which totally violates his fundamental right in practicing and following his own religion. We urge Vietnam to allow Khmer-Krom freely practice their Theravada Buddhism. The Khmer-Krom child should have the full right to ordain as the Buddhist monk as their will. Vietnam does not allow Khmer-Krom child to form any association. Throughout Mekong Delta, there is neither independently Khmer-Krom association nor Khmer-Krom student club. The Khmer-Krom children don’t even have a sport team. We urge Vietnam to allow Khmer-Krom child to freely form any association so they can meet and play together without interference from the government. Most of the Khmer-Krom children live in remote area. They have very limited accessing to the information. There is no library for Khmer-Krom children to read book in their language. The Khmer-Krom child cannot afford to pay for accessing the Internet. They do not know much about what is happening around the world. We urge Vietnam to build libraries and provide free Internet Access for the Khmer-Krom children to access to public information, especially to read books and news in their Khmer language. Vietnam ranks number two on the world in exporting rice. Most of the rice is produced in Mekong Delta. Khmer-Krom people are farmers but some of them do not even have enough rice to eat because of the expenses for farming too high. Thus, the Khmer-Krom people are the poorest people in Mekong Delta. 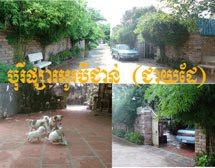 The poverty of the Khmer-Krom affects to the livelihoods of the Khmer-Krom child and their future. In Recent years, the percentages of the Khmer-Krom students’ drop out of school are alarming. They have to help their parents doing farming or looking for works to help their family. Without education, the Khmer-Krom child will have no future. Vietnam receives millions of dollars from foreign aids and making billions of dollars from extracting the crude oils from the Khmer-Krom’s ancestral sea near Okap (renamed Vung Tau) province. We urge Vietnam to provide financial assistance to help the Khmer-Krom children to stay in school so they can pursue higher education to have a better future. The current teaching of the Khmer language in public school is not a program that actually gets Khmer-Krom children to know their mother language. Some of the public schools just provide two to three hours per week for Khmer-Krom students to learn their language. Therefore, most of the Khmer-Krom now cannot read nor write their own language. In recent months, the Vietnamese government published text books for the Khmer-Krom children to study their language. Those text books were written by the Vietnamese and the Khmer language are not taught correctly. It makes the Khmer-Krom suspected that the Vietnamese government may intentionally teach the Khmer-Krom children in a wrong way for how to read their language. 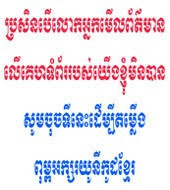 If the Vietnam has a good intention to publish text books for Khmer-Krom to study their language, the Khmer-Krom teachers and Buddhist monks should be invited to participate in writing the content of the text books to ensure that the Khmer language is written correctly. We urge Vietnam to allow the Khmer-Krom children to freely study their language in public school from the kindergarten. 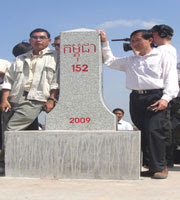 Khmer language should be recognized as an official language in Kampuchea-Krom. 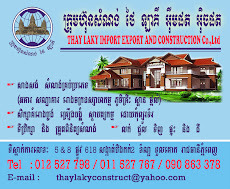 All applications including forms, signs and legal documents should be written in both Khmer and Vietnamese. Living in poverty, the Khmer-Krom children have to look for works at the age that they should enjoy going to school as the Vietnamese children. Most of the jobs are in the big cities. The Khmer-Krom children have to leave behind their beloved family and friends in their village to look for works in the cities. Because of lacking in education and skills, the Khmer-Krom children could not find work in factories. They usually end up working as waiters, waitresses, cleaners at the Vietnamese restaurants or as servants in the Vietnamese families with the low pay. Some of the Vietnamese factories look for cheap labors and even hire the Khmer-Krom children who are not legally old enough (eighteen years old) to do the work that the normal Vietnamese works do not want to do because it pays cheap and long hours. We urge Vietnam to have a legal system to protect the Khmer-Krom children who are entering the workforces too early and stop the exploiting the Khmer-Krom children. We urge Vietnam to provide technical schools to train the Khmer-Krom children basic skills to help them looking for jobs. The Khmer-Krom girls are amongst the most vulnerable group of people in the Mekong Delta of Viet Nam. Poor, uneducated and uninformed, many have been forced to work under unbearable conditions in order to survive. Lack of job opportunities in the provincial region has led Khmer-Krom girls to travel outside of their region and become victims of human trafficking. We urge Vietnam to immediately implement policies and legislation to protect the Khmer-Krom girls and providing active educational campaigns and informational sessions in both Vietnamese and Khmer so that they can be better informed of the danger of human trafficking. Since Vietnam was the first country in Asia ratified this convention, it is time to remind Vietnam to obligate its promises in protecting the rights of the child in Vietnam, especially the Indigenous Child because they need special protection and care. The Khmer-Krom children live in poverty. Even the public education in Vietnam is free for the Khmer-Krom, but the Khmer-Krom children cannot afford to buy books, pens, clothes, and other expenses to continue their education to finish high school. Besides living in poverty, the Khmer-Krom children are living in fear. They don’t have the freedom to express their opinion publicly or even to learn their true history and Khmer language. We hope that Vietnam would serious take our recommendations to ensure that the rights of the Khmer-Krom child’s rights can be protected and promoted.